Come out and bring yourself, a friend or a family member to the Miramichi Beaverbrook Kinsmen Centre, located at 100 Newcastle Boulevard, in the former Town of Newcastle on Saturday, May 11th, 2019! 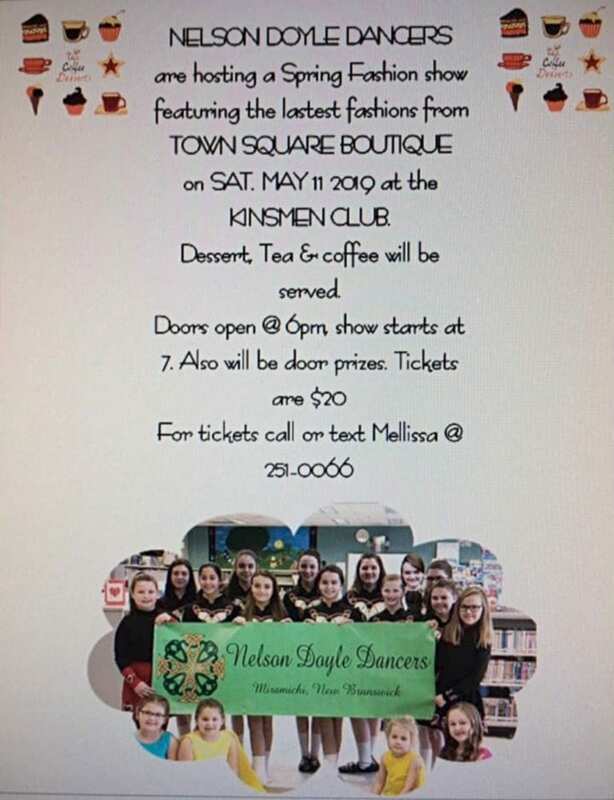 It will be the Nelson Doyle Dancers Spring Fashion Show and Tea! Tickets are available for just $20. a person by calling or texting Melissa Sullivan at 1-506-251-0066. The doors open at 6pm, with the show starting at 7pm! The show will be featuring the latest fashions from Town Square Boutique. Dessert, Tea and Coffee will be served and there will be Door Prizes to be won!